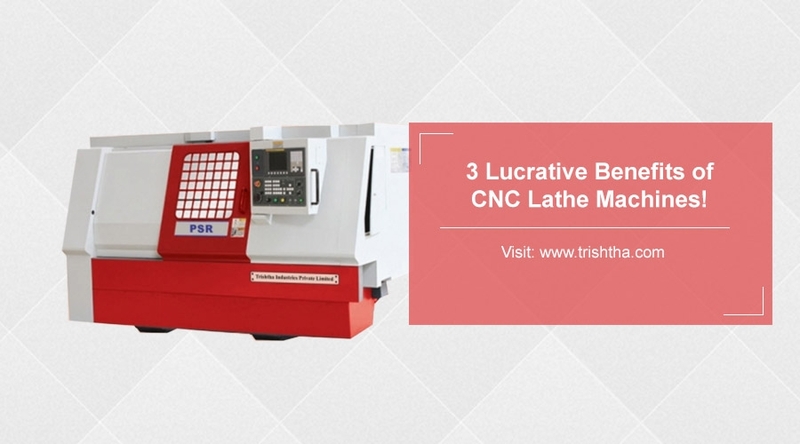 3 Lucrative Benefits Of Cnc Lathe Machines Over Conventional Machines - Trishtha Industries Pvt. Ltd.
3 Lucrative Benefits of CNC Lathe Machines over Conventional Machines! Are you considering adding a CNC lathe machine to your production process? It is a wonderful idea as these machines can convert any kind of raw material like, wood, metal and plastic into different shapes and profiles with the help of a computer. Since these machines are more efficient and accurate compared to conventional machines, they help to reduce errors and increase productivity. As one of the leading CNC lathe machine suppliers in Kolkata, we have specially gathered some of the main benefits of these machines that make them a wonderful investment choice. Here, take a look below. 1. Accuracy and precision: Our lathe machines are controlled by computers, and therefore, it makes it extremely easy for you to manufacture parts with complete precision and accuracy. By numerically feeding information to the computer, you can make use of our machines to cut parts. The possibilities of errors are greatly reduced since our machines are not heavily reliant on manual interference. 2. High speed: Speed is one of the most primary advantages offered by our CNC lathe machines. Our machines function fast and accelerate production time because all the complicated procedures are handled by the computer. Enjoying a stellar repute as one of the premium CNC lathe machine manufacturers in Kolkata, our machines undergo various speed test to make sure that they are capable of meeting your production demands. 3. Economically priced: Most of our clients make use of our CNC lathe machines because it is priced competitively. Our machines are able to perform several different tasks at once, offering complete value for money. If you are searching for CNC lathe machine dealers in Kolkata, look no further than Trishtha. For any questions regarding our CNC lathe machines, do not hesitate to get in touch with us.